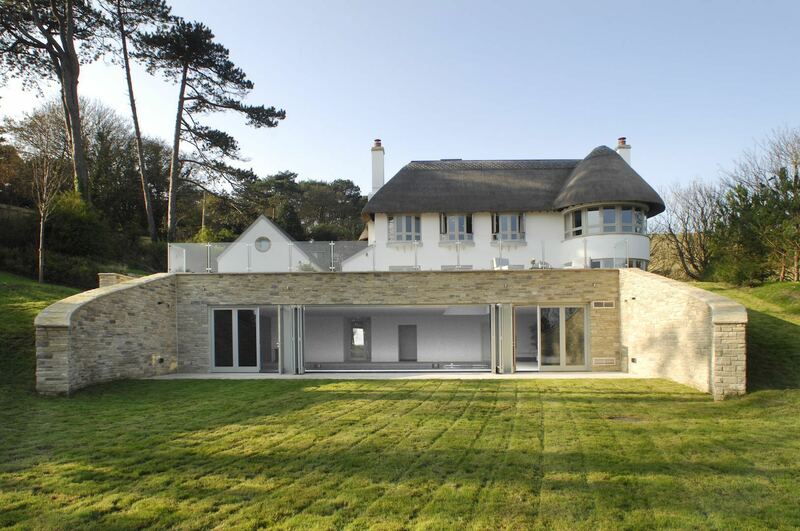 Here’s another amazing pad which would make the perfect base for playing golf in the Lulworth Cove area of Dorset. The Rafters has recently been fully rebuilt to the highest standard with no expense spared to create a truly unique traditional and modern home away from home. The house was transformed with the heritage of the local area but was also equipped with all state-of-the-art amenities and a luxury finish. 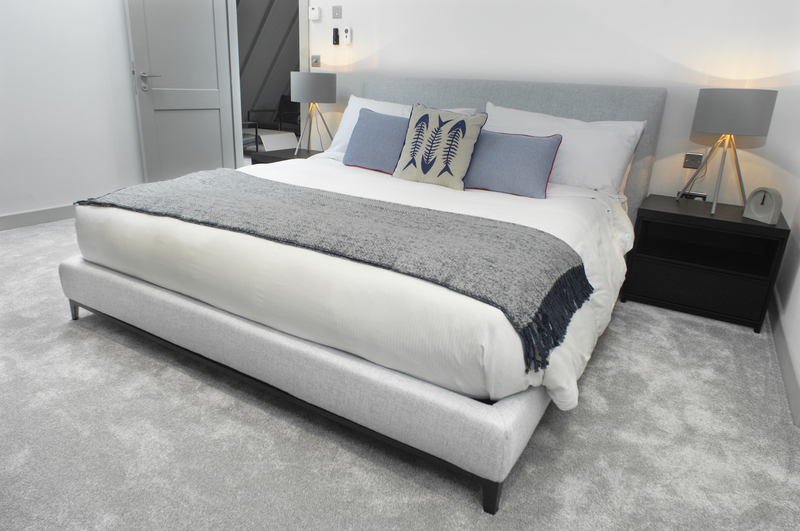 All 10 en-suite bedrooms have Super King size beds, built-in wardrobes and a walk-in shower area with two of the en-suites also having a freestanding bathtub. 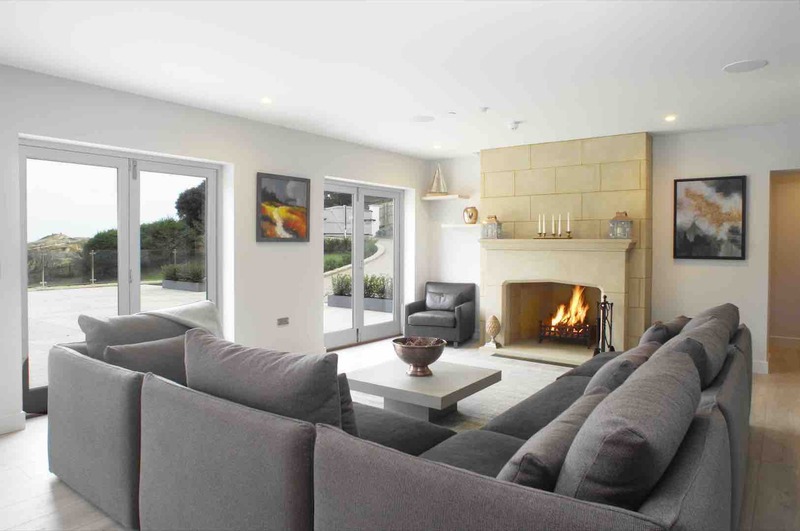 The entire house and detached garage boast underfloor heating; with each bedroom and bathroom having individual temperature controls to suit anyone and everyone’s preferences. The communal areas can easily accommodate at least 20 guests. The entire ground floor is a very airy, open plan design. The beautiful views of the Jurassic Coast can be enjoyed from anywhere in the room; from dining room to copper-topped bar to living room and open log fire grill/microwave, two large dishwashers, two American-sized refrigerators, two sinks, two freezer drawers, ample storage and every cooking tool needed to rustle up a delicious gourmet meal for twenty people. Even if guests remain indoors for the day, there are endless options whether relaxing in the snug with your feet up and taking in the glorious views from the bay window; or cosy up by the real log fire to read a book of your choice from the second floor library; or just socialize in the lounge in one of the super comfy couches. There is a bar area where guests can enjoy a few cocktails whilst waiting for dinner to be prepared. A private chef can be arranged or guests can cook themselves in the well- equipped chef-style kitchen. 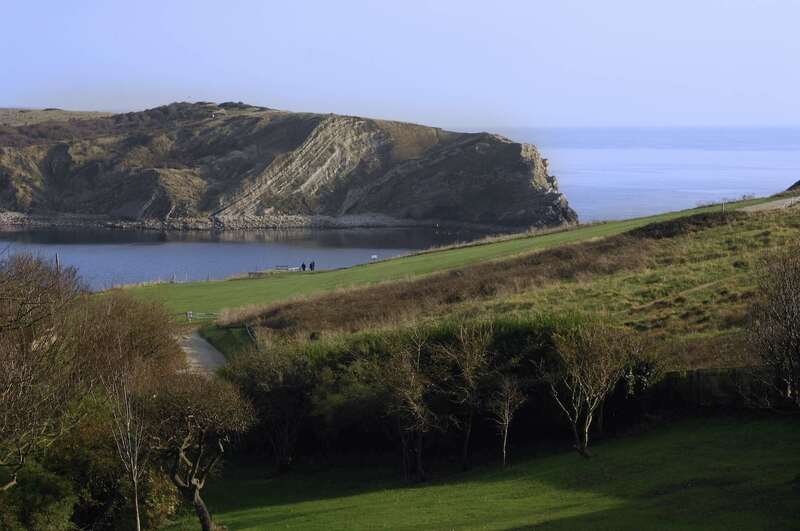 Outside there are two large terraces overlooking the manicured meadow and Lulworth Cove. The upper terrace can host all guests in the sunshine and with plenty of seating and shade. Behind the house is a large gas barbecue with the propane tanks provided if you prefer to grill your outdoor feast. 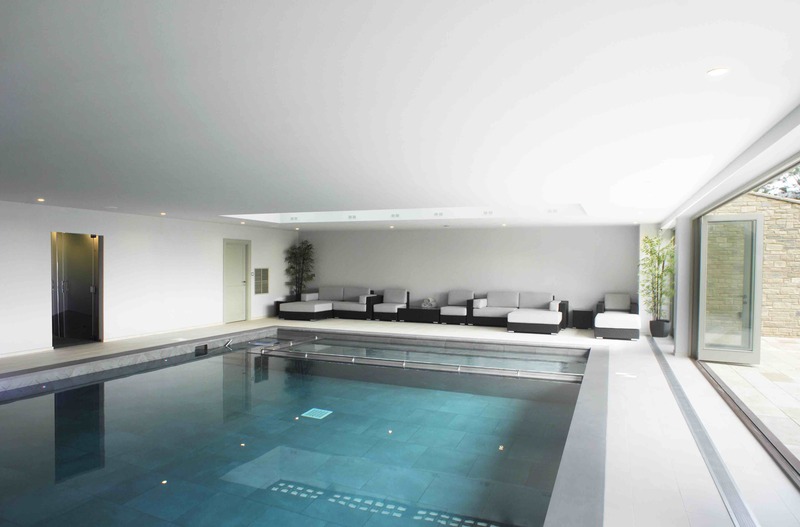 The lower terrace that leads out from the indoor pool is perfect for private sun lounging. The entire property is enclosed with privacy fencing, making the house a secluded hideaway. Should the weather not be on your side, the property could easily keep you entertained. The Rafters has a fully equipped cinema room with Blu-Ray, Apple TV, Netflix, Amazon TV and smart TV. There is a games room in the 'garage' that that has a ping-pong table, card table, dartboard, large TV, music speakers, board games and jigsaw puzzles. The stunning indoor saline pool is perfection; heated and big enough to host a rather large group with a paddling area for the young ones if the adults just want to watch and relax. 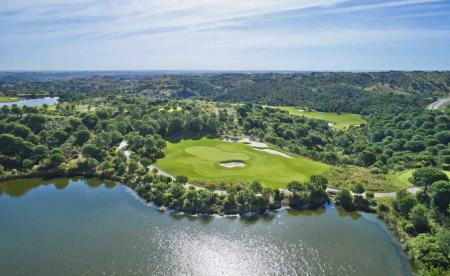 The house is perfect for a large group of golfers who want only the very best. Prices vary depending on the season from £6,9995 for a weekend up to £16,500 for a week’s stay.